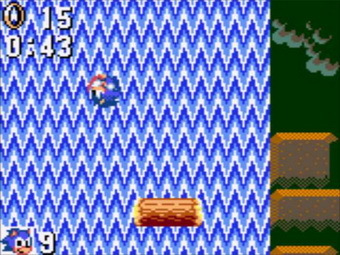 The main difference between this title and the Master System one is the screen resolution and the use of road signs to denote when there's a danger ahead. 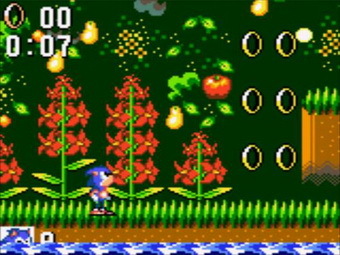 Also, the difference between this and the Japanese release is only changes in music. 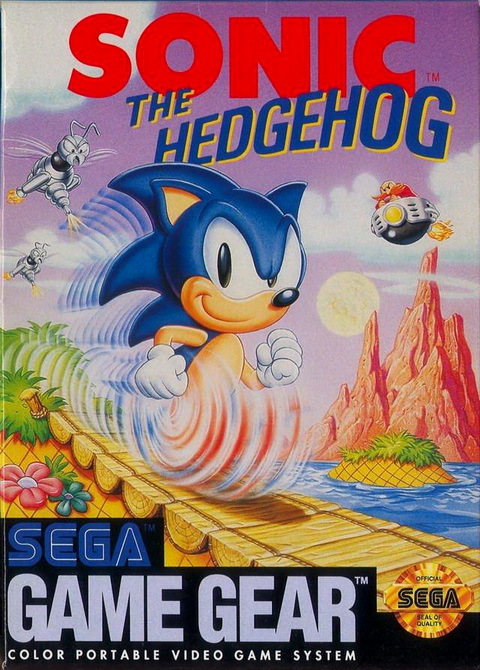 Sonic the Hedgehog (World) (v1.1) is a game that was developed and published by Sega. 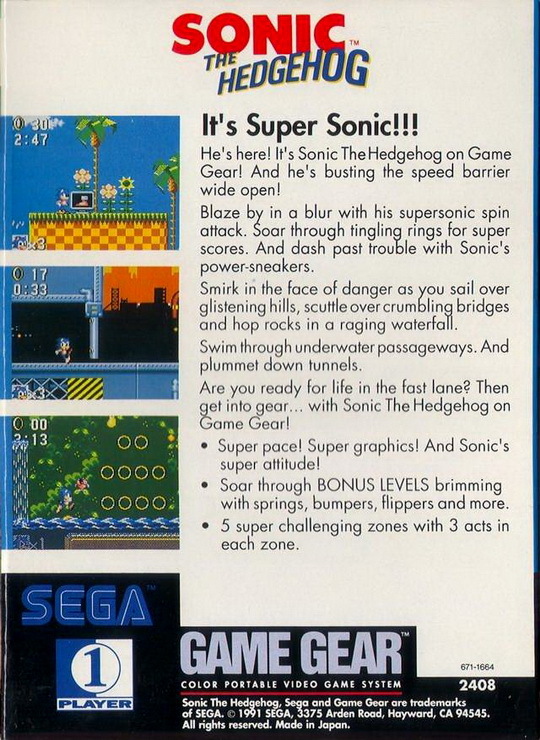 This game had lots of differences between Sonic the Hedgehog (Genesis) and Sonic the Hedgehog (Game Gear). Now you can add videos, screenshots, or other images (cover scans, disc scans, etc.) 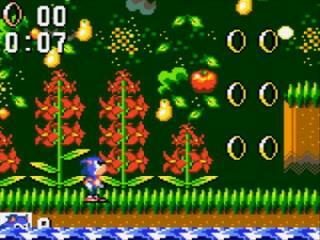 for Sonic The Hedgehog (World) (v1.1) to Emuparadise. Do it now!